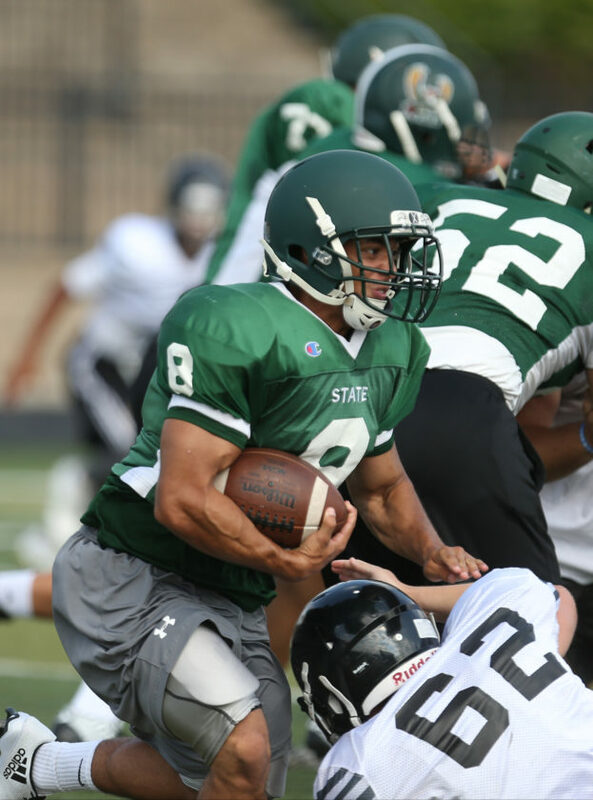 Free State running back Gage Foster looks to shake a Shawnee Mission South defender during the Baker Contact Camp on Tuesday, June 13, 2017 at Lawrence High School. 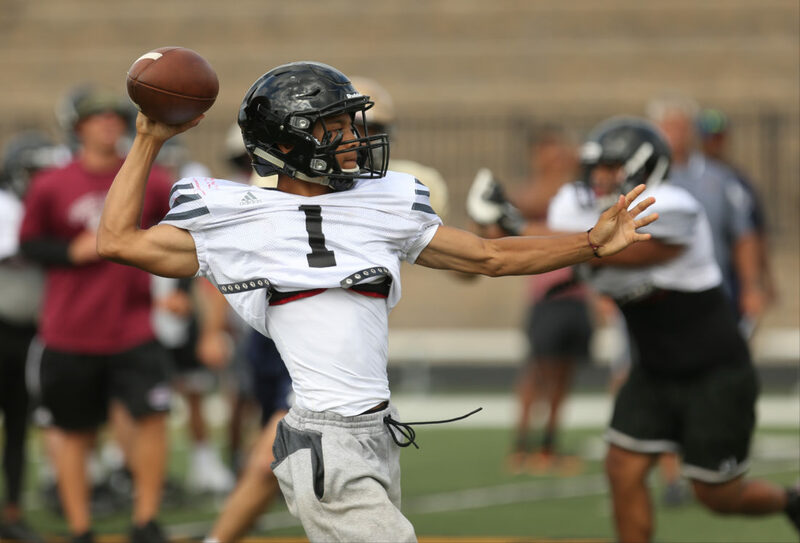 Lawrence High quarterback Dante Jackson looks for a receiver down field during the Baker Contact Camp on Tuesday, June 13, 2017 at Lawrence High School. 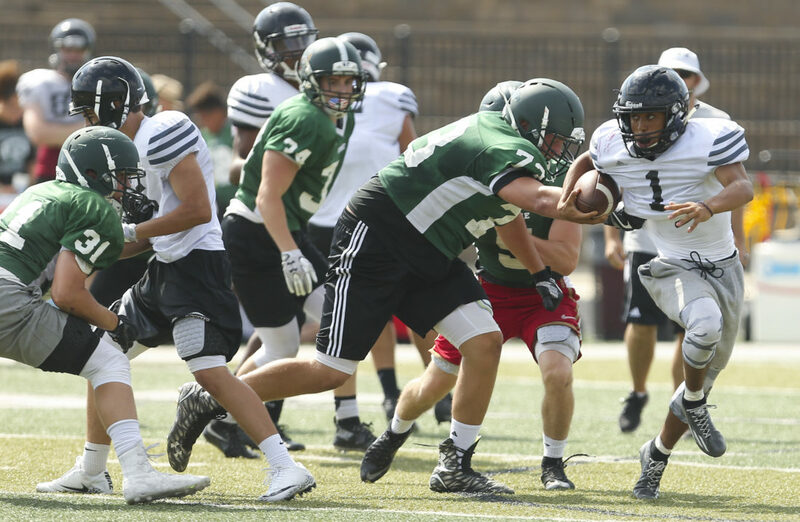 Free State running back Zach Wilson runs into the Lawrence High defense during the Baker Contact Camp on Tuesday, June 13, 2017 at Lawrence High School. 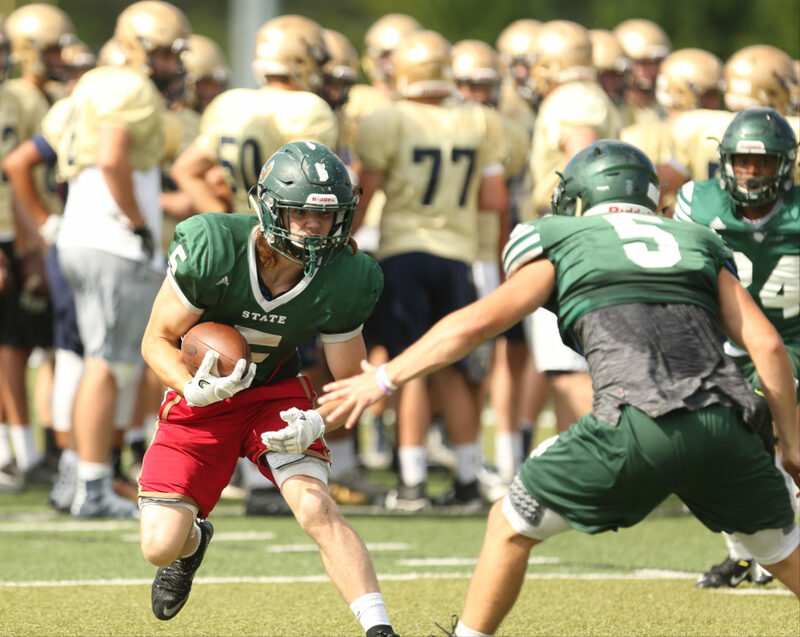 Lawrence High running back Hunter Krom looks for a hole as Free State defender Turner Corcoran (73) closes in during the Baker Contact Camp on Tuesday, June 13, 2017 at Lawrence High School. 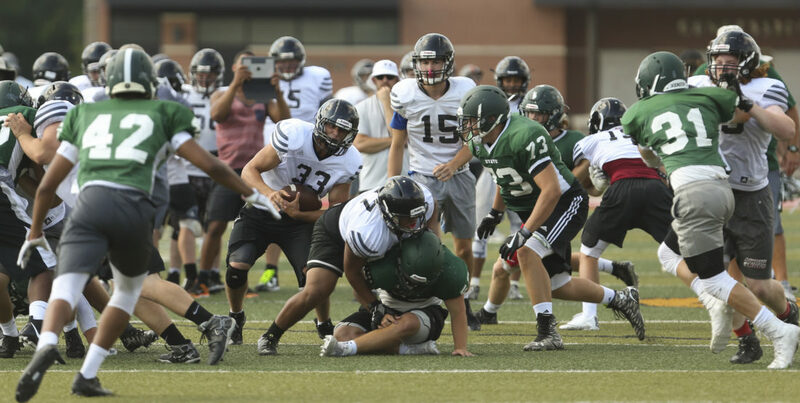 Lawrence High quarterback Dante Jackson tries to get around Free State lineman Turner Corcoran during the Baker Contact Camp on Tuesday, June 13, 2017 at Lawrence High School.